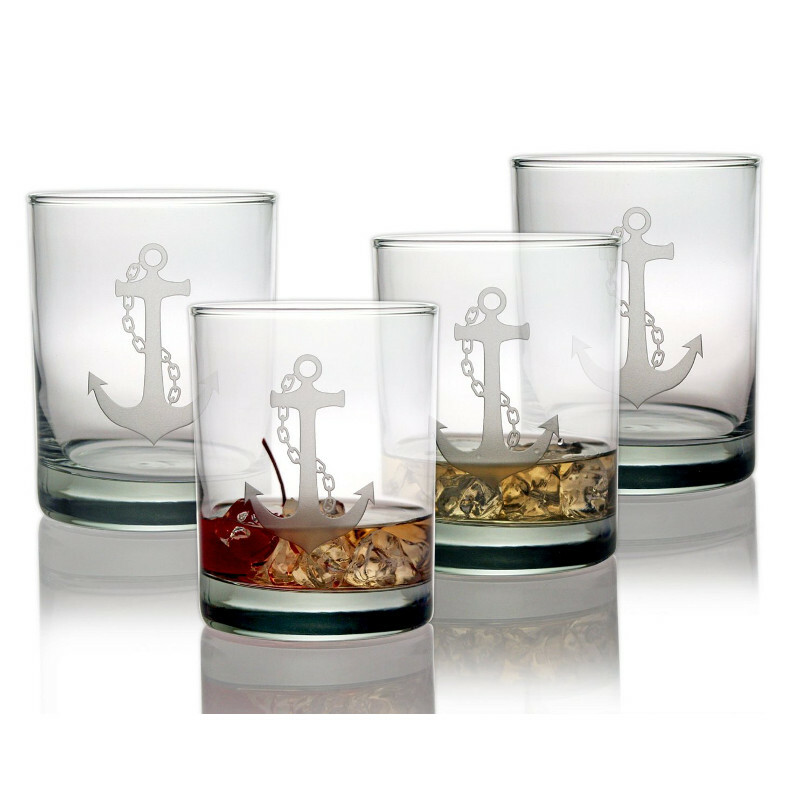 Anchor Etched DOR Glass Set the perfect On The Rock glasses at 14 oz when entertaining at your coastal home. Impress your guest with this designer set of Anchor drinking glasses. 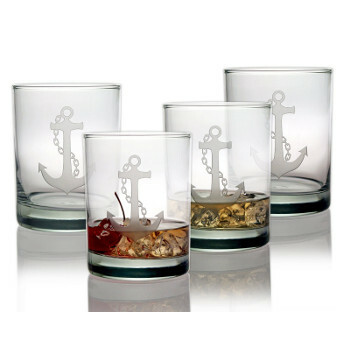 The design on this Anchor "on the Rock" glass is inspirited by the Admiralty Pattern also know as the Fisherman anchor. This anchor shape is the most familiar style . This basic design of the Fisherman anchor has not changed for centuries. The term aweigh describes an anchor when it is hanging on the rode and is not resting on the bottom.This is linked to the term weigh anchor, meaning to lift the anchor from the sea bed and hauled up.